Today our CBA North alphabet of archaeology continues with the letters N and O. 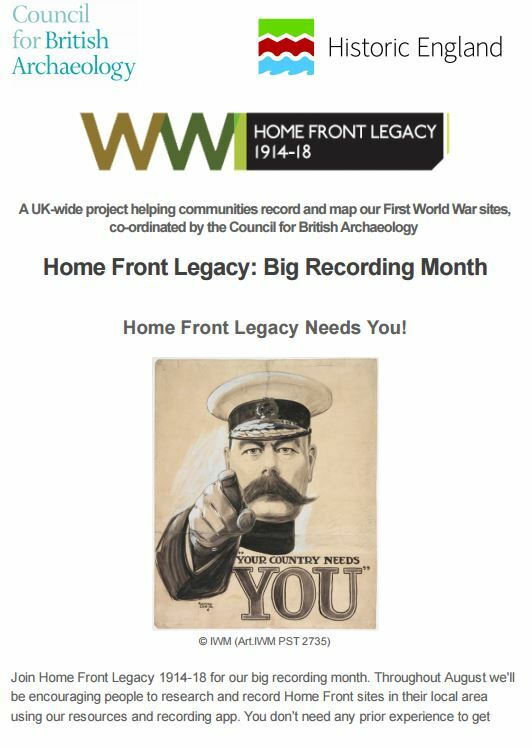 Taking the N’s we have a pair of articles describing recent work by CBA National on their projects the Local Heritage Engagement Network (LHEN) and Home Front Legacy (HFL) with which we have been involved. 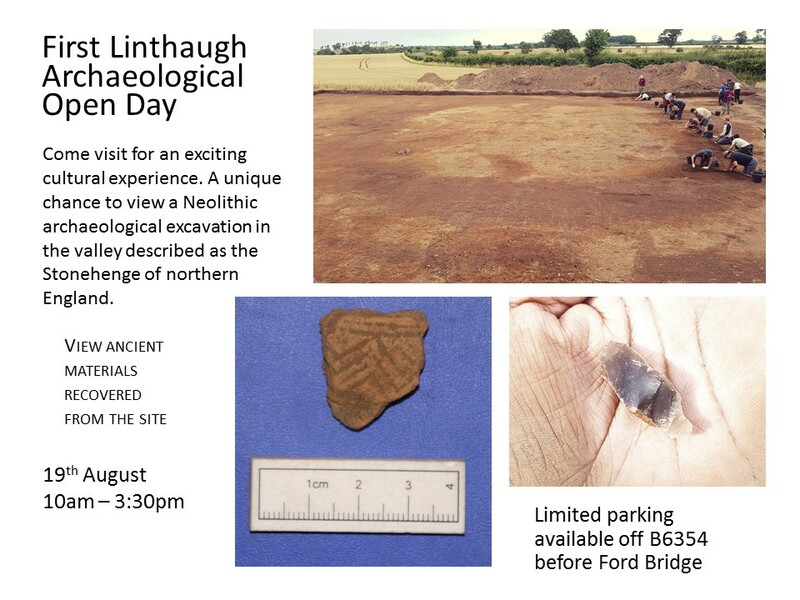 We also have brief notices of other open days – one tomorrow – for the First Linthaugh excavations, near Ford in Northumberland, which we also noted last year, as well as of others at Dilston Castle, which we’ve previously covered. 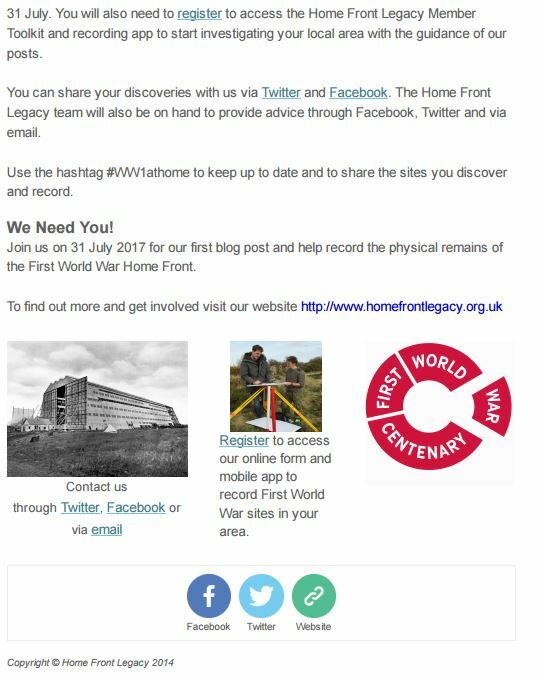 More on the LHEN project can be found online here. 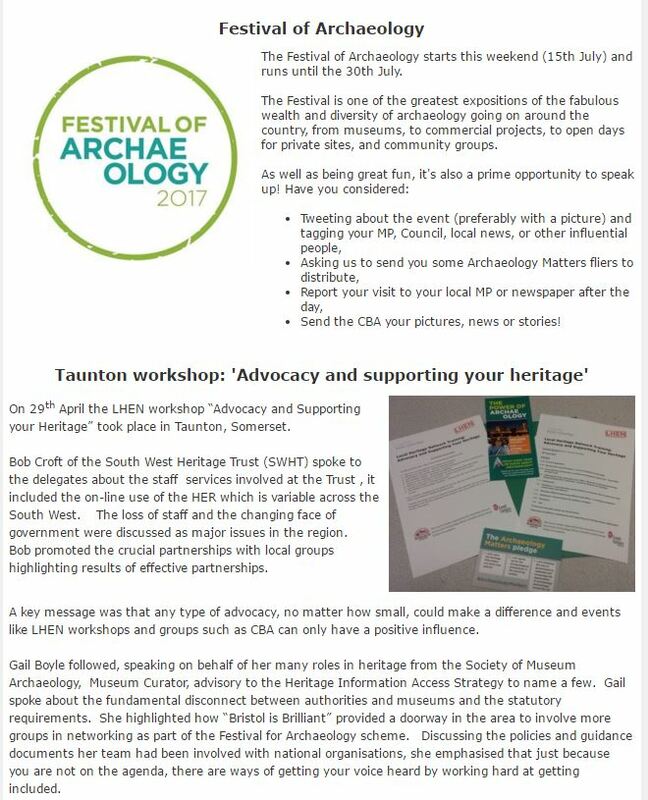 Members and Followers will recall we covered Dr Edwards talk at the Kirknewton Archaeology Festival on the Neolithic of the Milfield Basin last year. This year his excavations have continued at the north of the area at an adjacent enclosure. Here is a poster giving you a taster of what has been found so far. The site is just to the south of Ford Bridge and the junction to Crookham on the B6354 and will be signposted. Parking is permitted in the Fisherman’s Car Park and on the grass verges, close to the track through to the dig on the opposite side of the road. Please park sensibly and take care when crossing the road. It was back in August 2015 that we worked with CBA National to provide a training day for this national project in Durham, whilst readers may have also heard of the recent listing of the Stockton eavesdropping wireless station and many of the World War One war memorials across our region. Here is some news on what is happening in August for the project. More details on this project can be found here. 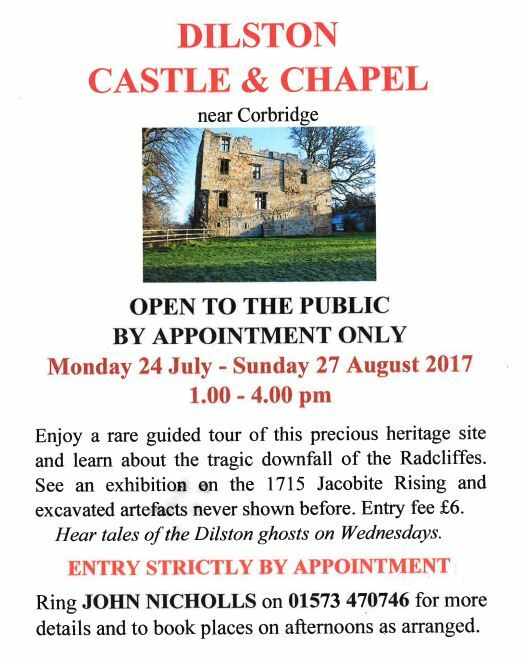 Members and Followers may also be interested to take up this offer to visit Dilston Castle the seat of the ill-fated Jacobite Derwentwater family. 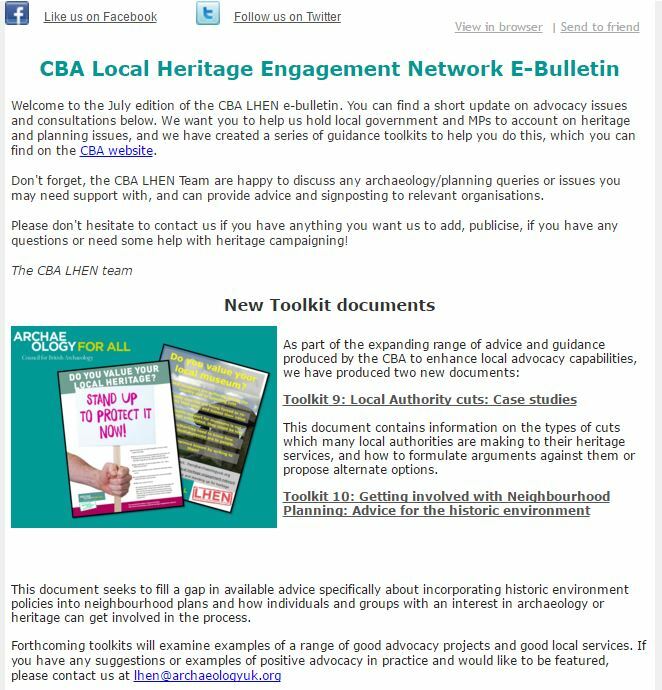 This entry was posted in E Newsletter and tagged Bronze Age, castle, CBA, Council for British Archaeology, excavation, henge, Home Front Legacy, LHEN, Medieval, Neolithic, Northumberland, Open Day, Post-Medieval, recording on August 18, 2017 by cbanorth. Join us in Celebrating Durham World Heritage Site’s 30th Anniversary this November! “What Makes Durham World Heritage Site Great”– 2nd-30th November, WHS Visitor Centre, an exhibition showcasing the 30th anniversary photo postcard competition winning entries. Heritage at Risk – A public debate, Friday 4th November, 5pm, Prior’s Hall, Durham Cathedral, with colleagues from across the world. Free event. Booking Required. Lecture by local historian John Grundy – “Saints and stones: the rich and varied joys of Durham” Saturday 5th November, 7pm in the Cathedral. £5-00, Booking Required. We still have places for our WHS Anniversary Conference “The Stories Within the Stones – Intangible Heritage” 4th to 5th November. Booking Required. 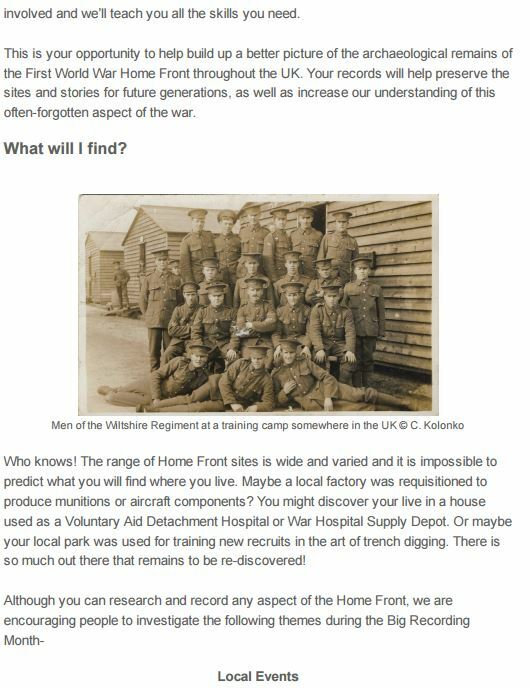 For more information and booking, visit thewebsite at Durham World Heritage Site and click on the orange banner, pop into the WHS Visitor Centre on Owengate or contact Jane Gibson. 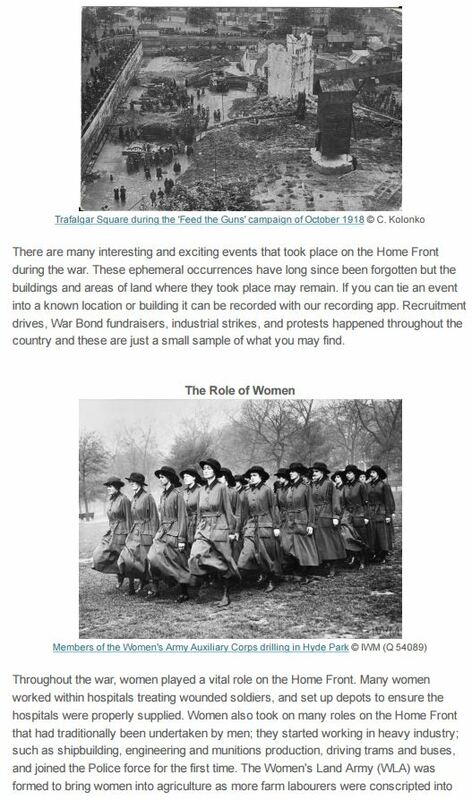 This entry was posted in E Newsletter and tagged castle, Cathedral, Durham, World Heritage Site on October 30, 2016 by cbanorth. Some short notice of other events happening this week for you here. Contact details for these events are given for responding directly with the organisers. Notices of other events will come your way, as planned, later in the month as well. This talk is Friday and is organised by the Bow Trust. If you would like to attend please RSVP to membership@thebowtrust.co.uk – non-members will be asked to make a small donation to cover catering costs. Throughout 2016/17 we shall again be running a series of trips exploring Newcastle and the surrounding area: often asking “What’s Classical about Newcastle and Northumbria?” but also exploring the area’s considerable and colourful post- (and occasionally pre-) classical history. Costs are kept low: travel is normally by public transport (generally very good value) and for most sites free entry will be arranged, often under special educational group schemes. This year’s programme will include star attraction Hadrian’s Wall (twice! ), Wallington Hall, Alnwick, Warkworth & Brancepeth Castles, Hexham and many others, including hopefully Holy Island/Lindisfarne (tides permitting!)…. Our first trip is *this coming Sunday*, 9th Oct., to Arbeia Roman Fort at South Shields: details to follow. Details to follow, but briefly: depart Haymarket Metro 12.30 p.m., return c. 5 p.m.
• impressive house interior – including collection of model armies and fully-furnished dolls’ houses! • An introduction to the Wall: a circular walk along one of its most dramatic stretches from Walltown Quarry. Wet weather alternative in Roman Army Museum! • Greenhead village and ruins of Thirlwall Castle with its legends of buried treasure and a magical dwarf! • Impressive stronghold dating from pre-Norman times, home to the powerful Neville family (of Warwick the Kingmaker fame); not normally accessible to the public, but open on this occasion for a Christmas craft fair! • historic church, gathering point for ill-fated 16thC ‘Rising of the North’. • Impressive Abbey dating back to c. 674 AD, with original Saxon crypt constructed from recycled Roman stones. Details are circulated by e-mail, on the website and via social media as the term goes along. Everyone is welcome including friends from other Schools or even outside the university. You can just turn up on the day, but it is useful for me to have a rough idea of numbers, so when you receive news of each trip please do e-mail me in advance if you are definitely interested. Please contact Dr Phillippo direct through her email address susanna.phillippo@ncl.ac.uk if you are interested in attending any of these events. 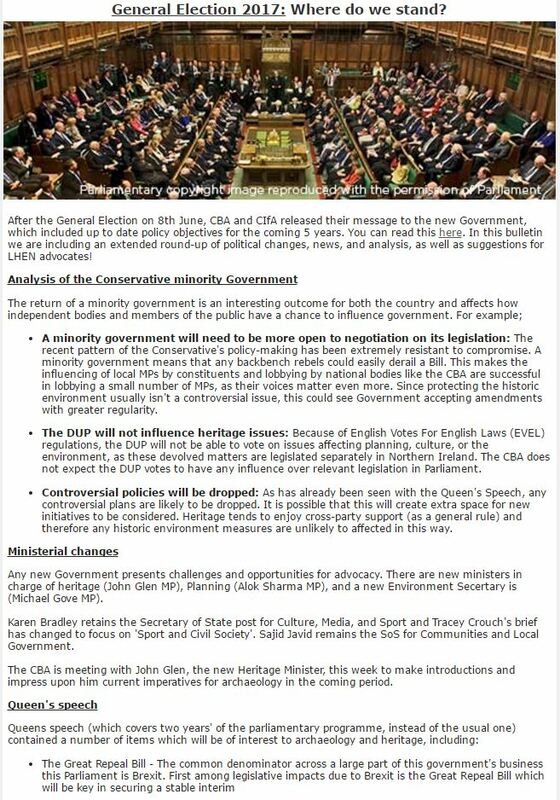 Details as to times and venues for all these events can be found in our Local Societies and Groups page (‘https://cbanorth.wordpress.com/local-societies-and-groups/‘) of our website. 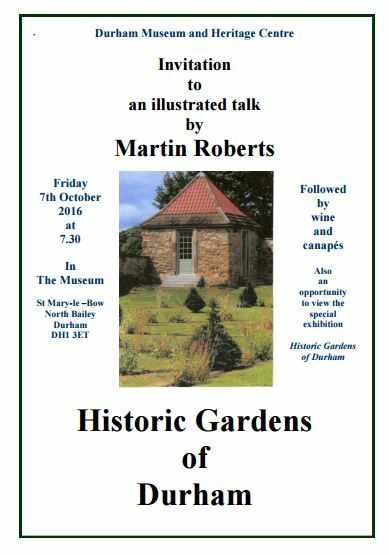 This entry was posted in E Newsletter and tagged abbey, castle, Durham, Early Medieval, Gardens, Hadrian's Wall, Hexham, Medieval, Post-Medieval, Roman on October 5, 2016 by cbanorth. This is just a quick email to say thank you to everyone who has already registered with Teesside Archaeological Society for this year. We very much appreciate it and thank you for everyone who attended the last lecture. We had 51 people come along! The next lecture will take place on the 19th April. It is NOT the last Tuesday of the month this time, due to the library being used for other purposes. Dr. Chris Caple graduated from the University of Wales, College of Cardiff, with a BSc in Archaeological Conservation. In addition to being a Fellow of Antiquaries, and Director of the postgraduate programme in artefact conservation in Durham University Department of Archaeology, he has a long-term research interest in Welsh castles. This talk will concentrate on the Welsh castle he has been most recently involved with in excavating: Nevern Castle in Pembrokeshire, where excavations began in 2008 and will continue to 2018. Findings so far of this well-preserved 12th Century castle, built of stone mortared with clay, include a threshold containing hidden apotropaic symbols. 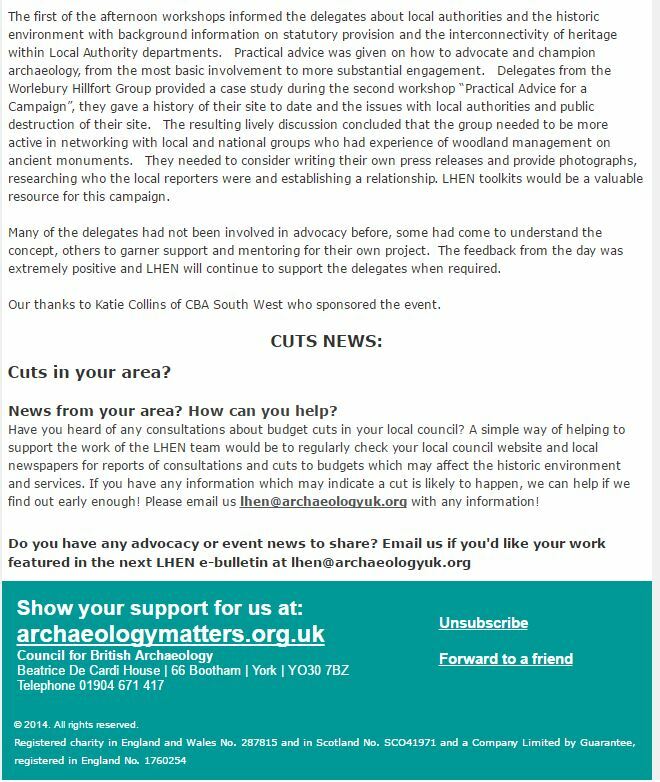 This entry was posted in E Newsletter and tagged castle, Durham University, excavation, Medieval, research, TAS on April 17, 2016 by cbanorth. CBA North Members and Followers may be interested in joining this excursion. Please contact Dr Phillipo direct if you are interested and/or would like further details. Welcome back after the Easter break! Next Sunday (17th April) we resume our programme of ‘Exploring Classical and Historical Northumbria’ trips, with a visit to Warkworth castle. Details of further trips to follow, including Hadrian’s Wall on the early May Bank Holiday (2nd May). 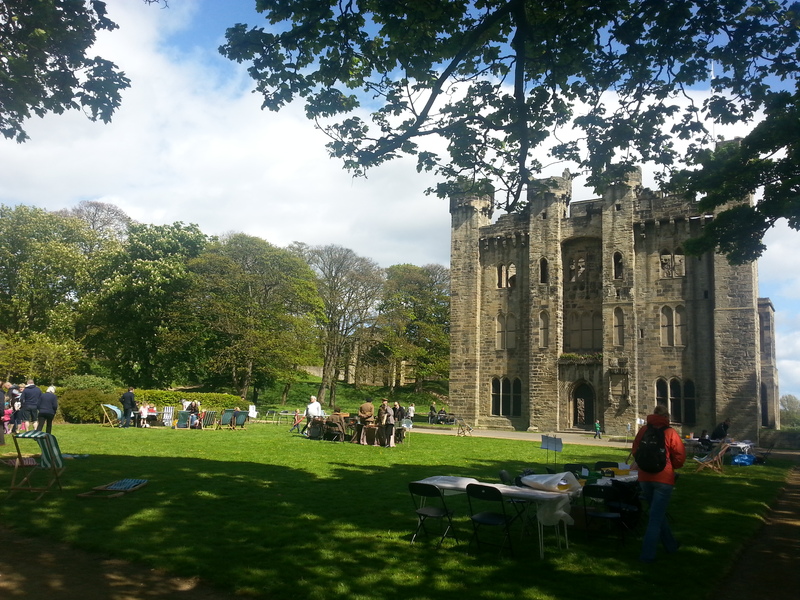 A visit to the impressive medieval Percy fortress in the scenic town of Warkworth. • Picturesque town dominated by showpiece medieval castle, home to a number of key players in English history, notably the Percy family (the original ‘kings in the north’). • Wars of the Roses, the English Civil War and several wars with Scotland(!) feature among the many historical events in which the castle and town played a part. • Castle features in Shakespeare’s *Henry IV* plays: the scenes which he set here make use of elements from classical writers Plutarch and Virgil — we shall hear about these on site, and visit the exact locations! • Unique 13th-century hermitage elaborately carved out of the solid stone of the river bank. As with previous trips, entrance to the castle is free by special arrangement with English Heritage. We travel by bus: the X18 from Haymarket bus station, outside Marks and Spencers. Meet at Haymarket bus station (usually Stand Q), ideally by *12.05*. Catch 518 bus at 12.13. Best to bring sandwiches to eat on the bus: refreshments including hot drinks are available at the Castle but there’s no cafe as such. The bus drops us close to the castle; we’ll have ample time to explore it, and hopefully the hermitage (to which visitors are ferried by English Heritage rowing boat!) before heading downhill into the village for a refreshment stop in one the village’s excellent cafés/pubs (one of the latter serves particularly good scones!). We will aim for the 16.37 bus back from Warkworth, getting back to Haymarket at 18.06. Buses leave at 37 minutes past each hour, though, so you can catch an earlier or later bus back if you like. Cost: An Arriva all-day ticket (£7.80) is the cheapest option. Entrance to the castle is free; otherwise, just bring money for refreshments. Everyone welcome (including friends from outside the School who may wish to come along). You can turn up on the day, and/or use your own transport, but if you can let me know in advance if you plan to come that would be useful. If you need to contact me on the day, my mobile is 07833 125 747. 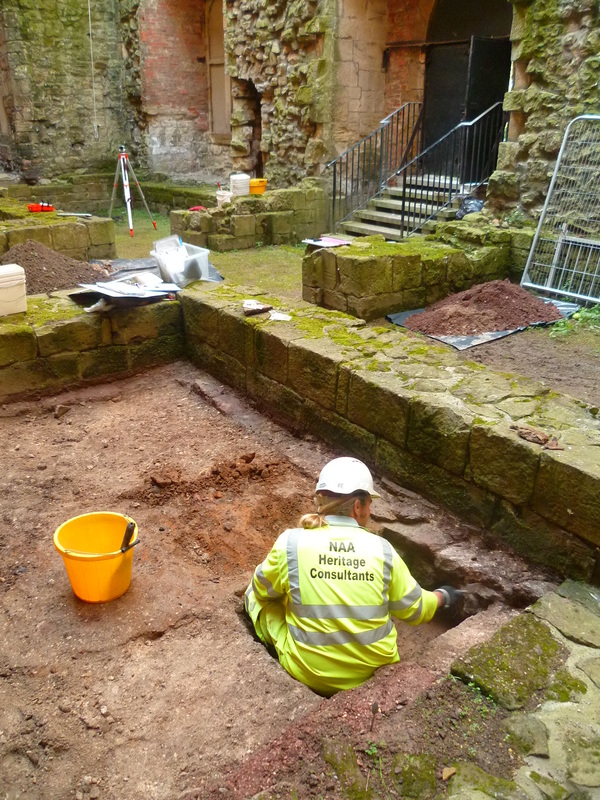 This entry was posted in E Newsletter and tagged castle, Medieval, Newcastle University, Northumberland, Post-Medieval on April 14, 2016 by cbanorth. The next lecture of the Durham World Heritage Site lecture series will be “Stonehenge and Avebury World Heritage Site: 30 Years of Challenges, Responses and Change in a Cultural Landscape” by Sarah Simmonds, who is World Heritage Site Co-ordinator for the Stonehenge and Avebury World Heritage Site. A poster is attached here giving a quick overview of the lecture. This lecture will be on Monday 21st March, 6pm, in Room PG20 of the Pemberton Building, Palace Green Library, Durham. The lecture is free of charge, but as places are limited, booking is necessary. Sarah is one of the two coordinators who make up the Stonehenge and Avebury World Heritage Site Coordination Unit. Before working in World Heritage Site management in the UK she worked abroad in development and education as a specialist in capacity building for the UN in East Timor and Afghanistan and before this with VSO in Indonesia. Sarah has worked for almost a decade as a World Heritage Site coordinator developing a special interest in partnership working, participatory management planning, community engagement, landscape scale strategies and planning policy. She has a Masters degree in Cultural Heritage from the Institute of Archaeology at UCL. Her dissertation focussed on the issues and ethics related to the engagement of international agencies with local cultural projects in Ethiopia. 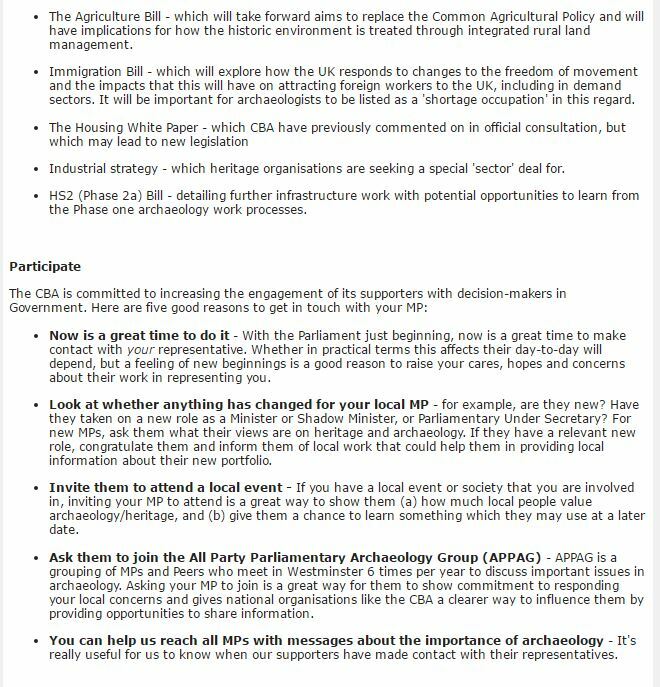 Her most recent challenge has been writing the first joint World Heritage Site Management Plan for Stonehenge and Avebury which was published in 2015. She has been a member of the ICOMOS-UK Executive Committee since 2014. Please reserve your place by writing to the organiser at raffaella.aliprandi@durham.ac.uk or contact the World Heritage Site Visitor Centre using the contact details below. (If possible please would you let me know if you intend to attend the drinks reception too, for catering purposes). 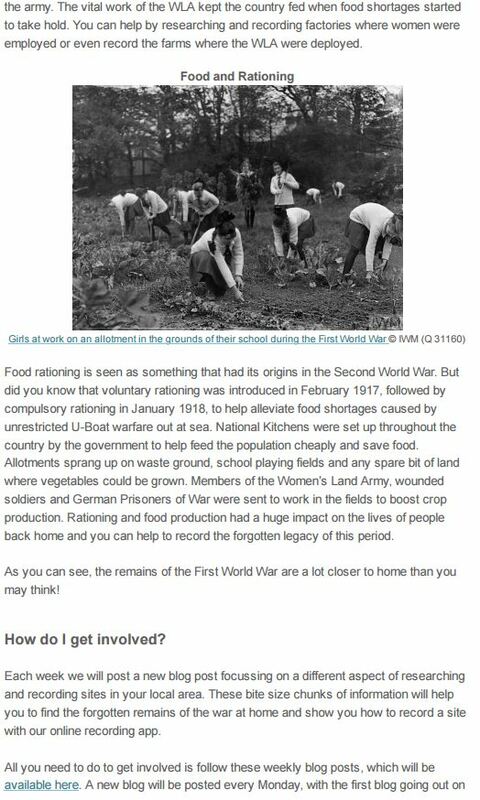 This entry was posted in E Newsletter and tagged castle, Cathedral, Conservation, Durham, Landscape, WHS, World Heritage Site on March 12, 2016 by cbanorth.